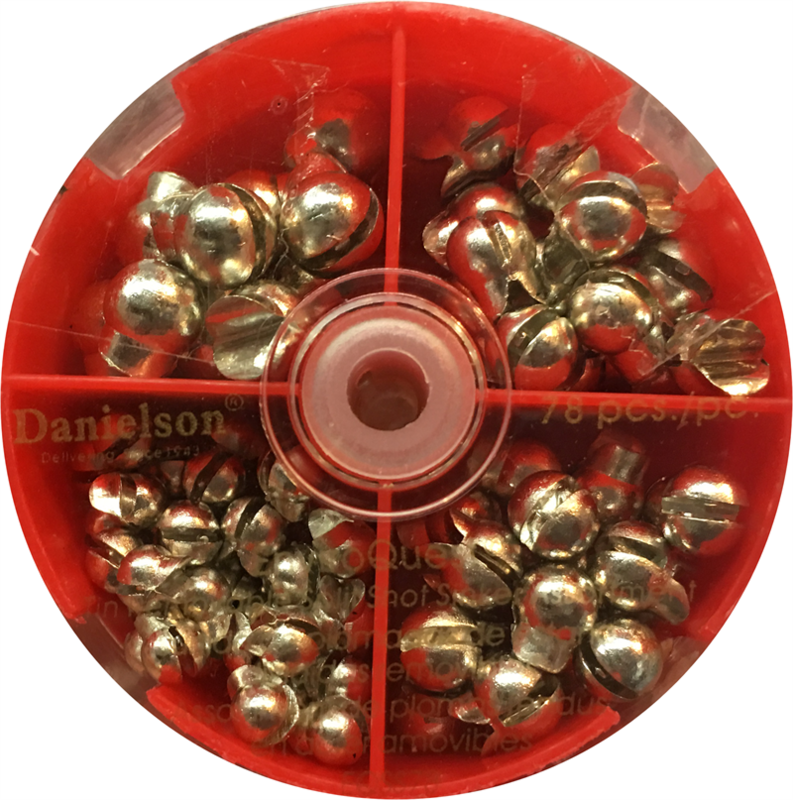 This 78 Piece Dial Box Selector Features 4 popular sizes of Removable Split Shot Sinkers. 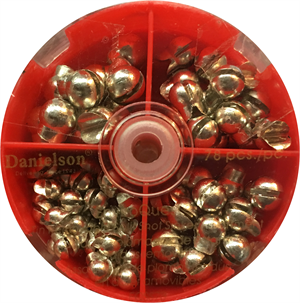 These split shot sinkers feature an easy on easy off application. Just squeeze the jawss to attach and the neck lever to remove. The grip lock jaw holds firm without damaging the line.